The life of a ballet dancer goes hand in hand with that of his mentor. Because without the physical, emotional and psychological support, without the huge respect for each other, without all the times in which this person has encouraged you, without the constructive criticism and the desire for excellence, without the challenges for you during the process, working without the incredible discipline and upbringing of a healthier way of life – we would not be what we are today, that reflection of professionalism. Permanence and confidence in ourselves will take us wherever we want! Born in the capital of Bulgaria, Sofia, Gabriel Stoyanov began his dance training at the age of five with the country’s oldest folklore ensemble “Rosna Kitka”. He continued his training at the National School of Dance Art focusing on Bulgarian Folklore Dance, under the watchful eye of Nicola Kolev. 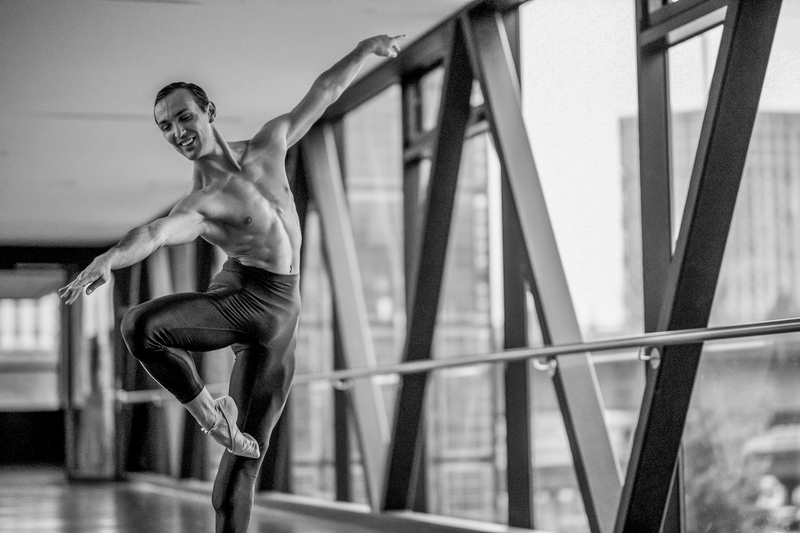 At thirteen, Gabriel discovered his passion for ballet and started training with the Bulgarian classical ballet living-legend Krassimira Koldamova in her school while continuing with his education at the state dance school. In 2012, before graduation, Gabriel created and developed the project “Help me to discover myself”. This prize-winning show mixed three dance styles (Classical Ballet, Modern Ballet and Bulgarian Folklore) and was performed in both Bulgaria and Germany. In 2012 he was accepted to the prestigious National Music Academy “Pancho Vladigerov” in Sofia for Ballet Pedagogy under Kalina Bogoeva and in 2017 he graduates succesfully Bachelor degree with a title Ballet Master/Pedagogue. In 2018, a year later he obtained a Master’s degree in the same specialty. He also joined Opera na Zamku (Stettin, Poland), where he continued to train under the tutelage of director Karol Urbanski while also having the opportunity to perform the pas de deux of the Arabian Dance in The Nutcracker and the Gypsy Princess El Amor Brujo (Yaroslav Ivanenko). In 2013, he joined Opera Wroclawska (Breslau, Poland) with director Bozena Klimczak. His repertoire with the Ballet of the Opera Wroclawska included Giorgio Madia choreographies of La Fille Mal Gardee, Coppelia and Swan Lake with choreographers Victor Smirnov – Golavanov and Ewa Wycichowska, as well as the Nutracker, Zorba and many other opera and operettas. While assessing his future during the last couple of weeks of his contract with the company, Gabriel took the hard decision to leave the stage temporarily to focus more intensely on his training and education. He left for Switzerland, where he wanted to focus on his physical, technical, artistic development to achieve his dreams and later return to the stage stronger and more confident with his best ballet years yet to come. During this time, he was invited to transmit his experience gained through his education as a Ballet pedagogue (Vaganova) to several dance centers and ballet schools in Switzerland including the Ballet School of the Opera house in Zurich, Yen Han Dance Center, Stellwerk Dance Center in Chur, Marciano und Minasi Tanz and Ballet for Everyone, where he teaches people to become fit and healthy by giving them a complete ballet-inspired body work out. Gabriel is also acclaimed teacher and coach to young talents. He provides intense and high-level private lessons for children and adults. Gabriel is offering private lessons and choreography sessions for all ages & ability! He also works individually with students to help improve posture and dance technique, giving them a stronger foundation for examinations and auditions. In his classes you can build confidence and mental strength as well as physical for upcoming challenges within your dance practice.